Arthritis is an extremely common complaint, but it comes in several forms. Joint pain from arthritis can be caused by inflammatory arthritis, degenerative arthritis, metabolic arthritis, or even infectious arthritis. Because there are so many different varieties of joint pain, it can be difficult to know how to treat arthritis. Thankfully, your Bentonville, AR chiropractor, Dr. Tom Niemela, can help ease the discomfort and promote healing for all types of arthritis pain. Arthritis, while typically experienced primarily in older people, can affect those of all ages, men and women alike. One of the most common types of arthritis is osteoarthritis that occurs when the cartilage between the bones has been rubbed away and the bones are rubbing directly on each other. This type of arthritis causes extreme pain from stiffness and swelling of the joints. 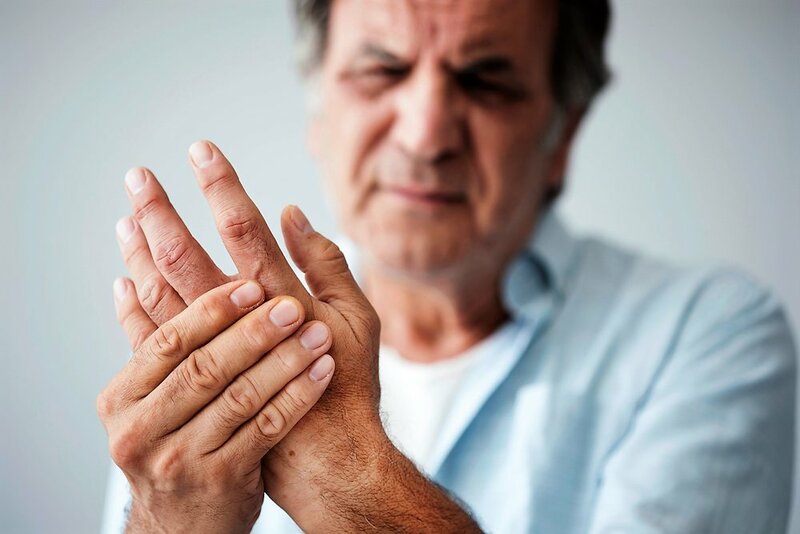 Inflammatory arthritis, such as rheumatoid arthritis and psoriatic arthritis, are caused by problems of the immune system that causes the joints to be attacked. No matter the type, arthritis is painful and sometimes even crippling, oftentimes leading to a poor quality of life. Finding ways to treat arthritis pain can be challenging, but Bentonville chiropractor Dr. Niemela can help. The priority when searching for ways to manage arthritis pain is to prevent both short-term pain and additional issues that can occur from having arthritis long-term. Medications, exercising, and eating a healthy diet are all form of managing arthritis pain that doctors recommend to lessen pain and increase quality of life. Unfortunately, not all these forms of managing arthritis work and some forms can have harmful side effects. The good news is that chiropractic care has been shown to be a natural and effective way to manage symptoms of arthritis without the negative side effects. Chiropractic care from Bentonville chiropractor Dr. Tom Niemela focuses specifically on the musculoskeletal system and in relieving inflammation in the body. Because this is the primary focus of chiropractic, it is a highly recommended from of pain management for arthritis sufferers. Gentle chiropractic adjustments can remove spinal misalignments that cause inflammation. Because spinal misalignments interfere with nerve communication, adjustments that remove these misalignments will restore communication and aid in restoring function so that the body is able to perform at optimal levels of health. Many case studies have been done to show the effects of chiropractic adjustments for decreasing arthritis pain. A 54-year-old woman who had suffered from rheumatoid arthritis for 7 years experienced extreme pain and swelling of hands, fingers, knees, toes, and feet to the point where physical activity was difficult. After consistent chiropractic care, she was once again able to walk, exercise, and even dance because her pain level was reduced from a ten to a one. Another case study of a 70-year-old woman with hip pain from past falls was able to improve her gait and mobility after just twelve weeks of chiropractic adjustments, showing that chiropractic is one of the best ways to decrease the effects of arthritis and regain your quality of life back. If you or someone you love is tired of suffering from painful and debilitating arthritis, contact Bentonville chiropractor Dr. Tom Niemela of Arbor Vitae Chiropractic to schedule a consultation today. Pero, J., Jockers, D. “Improvement in Cervical Curvature and Health Outcomes in a Patient with Rheumatoid Arthritis Undergoing Chiropractic Care to Reduce Vertebral Subluxation.” Annals of Vertebral Subluxation Research, 2012 Jul: 77-81. http://www.mccoypress.net/annals/docs/2012-1229_ra.pdf. Strunk, R.G., Hanses, M. “Chiropractic Care of a 70-Year-Old Female Patient with Hip Osteoarthritis.” Journal of Chiropractic Medicine, 2011 Mar; 10(1): 54-59. https://www.ncbi.nlm.nih.gov/pmc/articles/PMC3110407/. Older PostCan Chiropractic Lower My Blood Pressure?